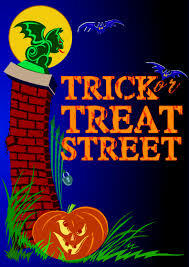 Upcoming Events: Trick or Treat Street is TONIGHT!! Grab your friends and wear your costumes for an evening of Halloween and Fall Season fun! Tour the Haunted House, play games for all ages, win a sweet treat at the Cake Walk. Warm & tasty dinner starts at 6 pm. Activities start at 6:30. Dinner $6/adult, $4/child. Activities wristband $5 each. This is a major fundraiser for CCCK-8 PTSA and helps fund the learning environment enhancements we want to bring to the school. – After School Program: Permission Slips are now available on our website for the following after school programs: Magic of Aerospace for Grades 5 – 8 starts Nov 3rd. $3/student to cover costs of materials. Registration form is available on our website. Space is limited, so register today! Two Left Feet will begin a Dance Class for Grades 1 – 4 on Mondays starting November 3rd. SPACE IS LIMITED, so sign up today. The next 8-week session of guitar lessons begins Nov 6th for age 7+ Please visit our website for complete information. We are looking for a volunteer to help keep the parent community informed of the activity around the Jeffco School Board. This person would be responsible for identifying and sharing resources for parents about what is going on. We will publish the information you provide on the PTSA website, Facebook page and future Friday Notes. 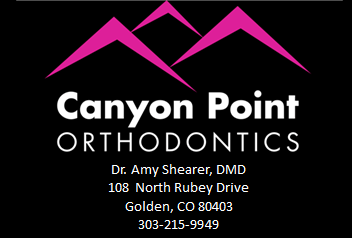 If you are interested, please contact Jody Dickson, jody@dickson.org or 303-642-3568.